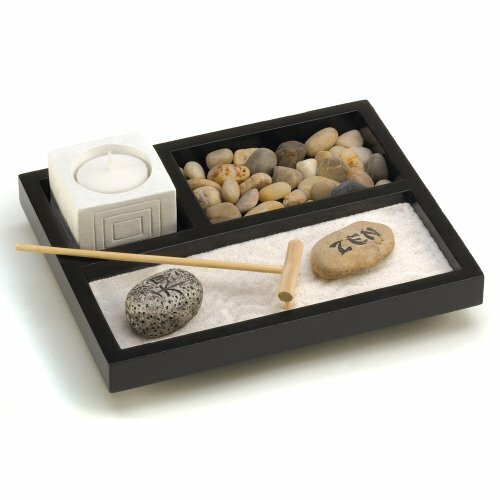 Enjoy your own private Zen garden, even if you are short on space! 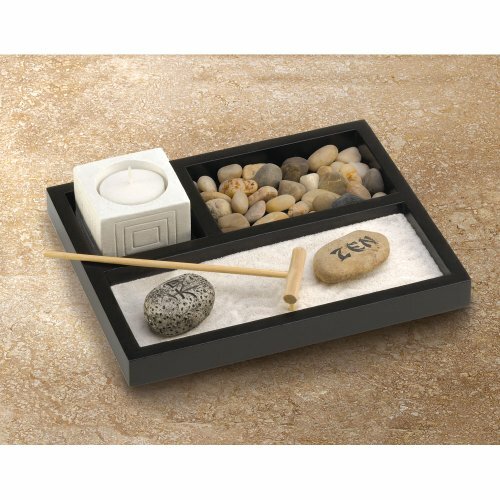 Nifty tabletop box contains every essential sand, rocks, candleholder and rake to create a serenely scenic escape from the everyday. 7″ x 6.25″ x 2.25″. Material(s): Stone, cement, sand, and wood base. Enjoy your own private Zen garden, even if youre short on space!